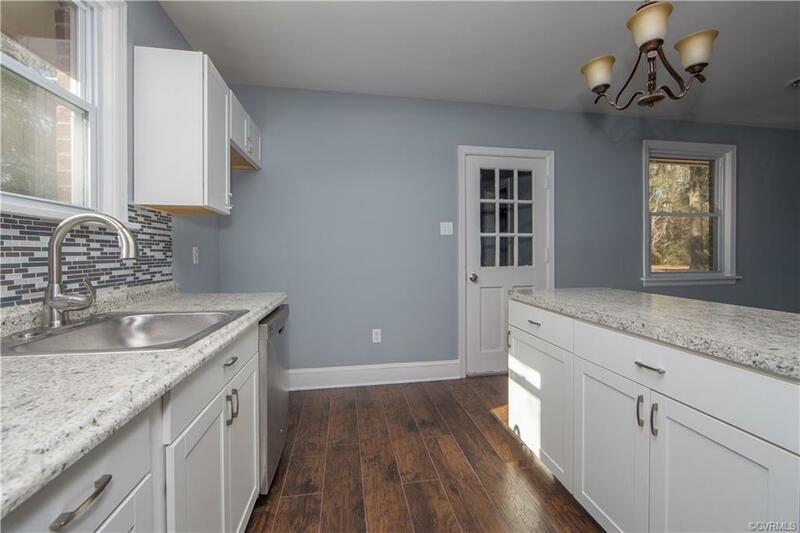 Don't miss out on this beautiful recently renovated brick ranch home located in the serene Battlefield Park neighborhood. The hardwood floors are gorgeous having just been stained and polished! Formal living room is open and bright. All new eat-in kitchen complete with new cabinets, built-in kitchen island, new stainless steel appliances, and vinyl plank floor. Home has three bedrooms and 1.5 baths, as well as a very spacious laundry room located off the kitchen through the breezeway at back of house. Parklike yard with mature trees and off street parking.